When skydiver Felix Baumgartner dropped from near-space (23 miles high) back to the Earth’s surface Red Bull changed the face of marketing forever. Of course Stratos was far more than a marketing campaign; creating and funding a mission to the edge of space is far beyond the realms of the traditional 30-second spot. It was an astonishing display of the value of human endurance, of adventure, investment and commitment. The fact that this mission to the edge of space was, in fact, funded and created by a brand is, quite simply, remarkable. Having achieved 8m concurrent views of the spectacle on YouTube, there is no arguing that Red Bull’s Stratos project was an astonishing leap forward in marketing, but it also delivered something far bigger than eye-balls. Back on earth marketers will be rolling their eyes at the notion they should ‘pull a Red Bull’, but there are key takeouts for every brand, regardless of budget. ‘Do you want to sell sugar water for the rest of your life, or do you want to come with me and change the world?’ Steve Jobs’ pitch to John Sculley – the Pepsi-Cola chief executive whom Jobs brought in to run Apple – probably wouldn’t wash with Red Bull founder Dietrich Mateschitz. 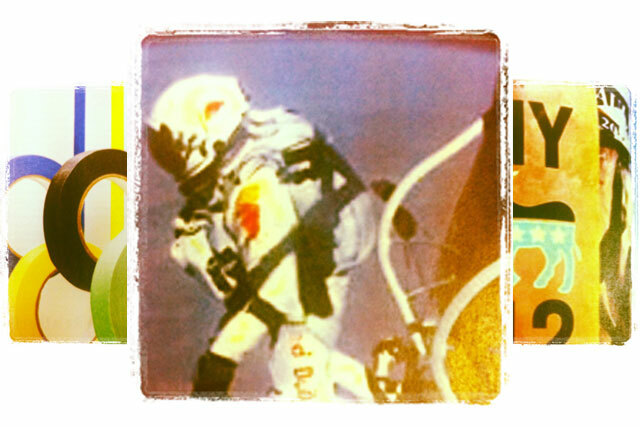 Red Bull Stratos has not only underlined the brand’s authentic link to extreme sport and innovation, it has also provided its employees with a motivation bigger than selling sugar water (or energy drinks for that matter) for the rest of their lives. James Whitehead, executive partner at JWT – the agency that, in a clever bit of marketing, sent a Kit Kat bar 22 miles into space to celebrate fearless Felix – says people want more of a relationship with brands. ‘They want to be involved with them and share them, so [brands] need to have a bigger purpose and a conscience that extends beyond sales,’ he says. Consumers may have expressed discomfort at David Cameron’s vision of a Big Society, but Red Bull Stratos raises difficult questions about marketing taking off where government funding ends. ‘Red Bull has taken science forward and no one is questioning it. Whether you agree that this will benefit NASA or not, there is no doubt that it is fuelling a passion for science,’ says Sav Evangelou, executive creative director at Kitcatt Nohr Digitas. He believes there is a huge opportunity for brands to carry this shift forward if they can share knowledge or deliver progress to society, whether it is through education or investment. Sean Kinmont, managing partner, creative director at 23red, says the main thing marketers can learn from Red Bull Stratos is that ‘higher order’ benefits can be generated by things other than charitable links or associations with good causes. ‘People can be equally inspired by feats like this one, which take them vicariously into self-realisation, courtesy of the brand,’ he says. Space exploration appeals to noble human interests: the desire for adventure and a belief in the power of science. James Kirkham, managing partner at Holler, says that for a certain generation Stratos has become an ‘I was there' moment, which has created ‘almost an unfair benchmark’ for marketers. While media coverage has focused on the volume of YouTube hits, the true scope of Stratos’s achievement reverberates far beyond the marketing fishbowl. In fact, Red Bull itself has blocked agencies involved in the project from talking to the press because it doesn’t want the event to be viewed as a marketing stunt. ‘The industry is obsessed with media coverage, but the real opportunity is earning the right to speak to consumers. Red Bull did this by capturing the imagination of millions of people,’ says Evangelou. The message is clear: to be truly great, brands must transcend ROI. Back on Earth, there will doubtless be marketers rolling their eyes at the notion that they should ‘pull a Red Bull’. So here is the killer fact to empower each and every marketer: experts estimate that Red Bull’s investment in marketing is 30% to 40% of its revenues. It is a marketing-driven business model in the truest sense. If you won’t invest in your products and services, staff and brand, why would you expect your consumers to? You can’t use the struggling economy as a one-size-fits-all explanation for failing to commit and perform. In an age of slash-and-burn marketing, where failure to commit and endlessly delaying big decisions is the norm, Red Bull’s investment and scope is noteworthy. Not every brand has the inclination or budget to invest in something bigger than itself, but the best marketers should at least have the ambition to try.